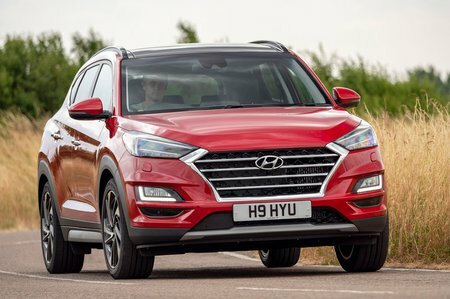 Hyundai Tucson Boot Space, Size, Seats | What Car? 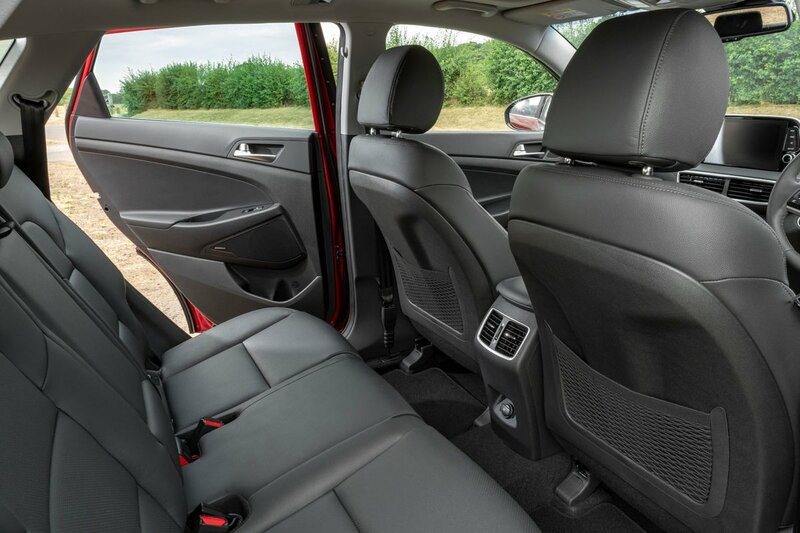 There's plenty of room in the front of the Tucson, so even taller occupants shouldn't feel at all cramped. There's a lot of leg room and the tall roofline offers plenty of head room, too. Numerous storage points, including a large cubbyhole in front of the gearlever and two cupholders, mean you won't struggle to stow everything you need. All models also benefit from a cooled glove compartment that's ideal for storing snacks or drinks. Three adults can just about fit comfortably in the back; there's plenty of leg, head and shoulder room, even with taller people in front. The central passenger will have to rest their feet on top of the central tunnel, but it's at least wide and flat so shouldn't prove too uncomfortable. Versions with a panoramic glass roof have less head room but still feel roomy. A rear armrest with integrated cupholders is standard, as are three headrests and reclining rear seatbacks, all of which helps to increase comfort. There are also small door bins and cargo nets on the back of the rear seats. 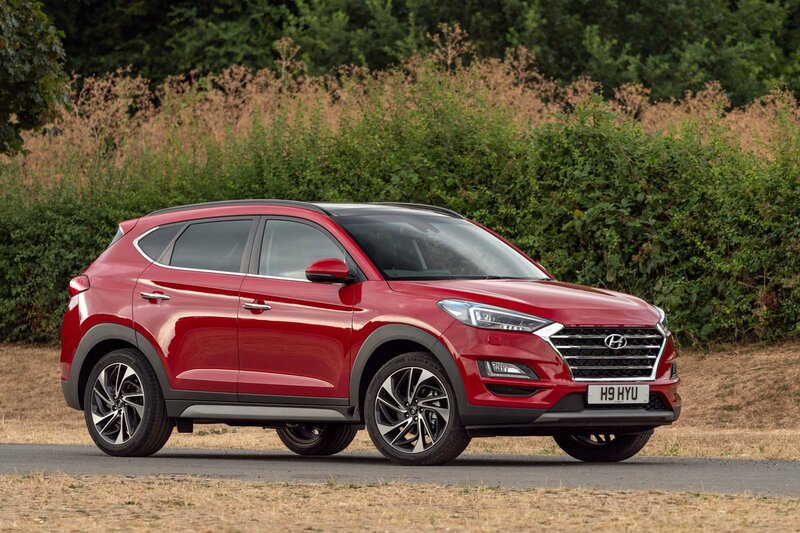 There’s a decent range of seating flexibility, making the Tucson a good choice for those looking to carry lots of passengers or luggage. The standard rear seats split and fold in a 60/40 configuration via an easily accessed lever just inside the door at the base of the seats. You don’t have to remove the headrests, either, to fold the rear seats down and the end result is an almost flat boot floor. The seats are quite weighty, though, so some might struggle to put them back up. Other useful features include reclining rear seats that are standard across the range. The Tucson has a big boot that's easy to access. The rear wheel arches do intrude a little into the space and restrict the boot's width, but there’s a long, square load area. In total, the car offers more than you'll find in a Nissan Qashqai and very similar to what you get in a Seat Ateca, but there’s more boot space in a Skoda Karoq. There are some practical touches, too, including fold-out bag hooks, tethering points and a multi-position load bay cover. Top-spec Premium SE models get a powered tailgate, which should help when you're laden with shopping.